We have carved a niche amongst the most trusted names in this business, engaged in offering comprehensive range of Stainless Steel Round Nut. Custom manufacturer of coupling, flange, jam, knurled and slotted nuts using various screw machining and CNC machining services. Our industrial Round Nuts includes stainless steel nuts and hot forged carriage nuts. We produce nuts of different shapes and sizes. These are also manufactured according to the requirement in the application areas. Some of the nuts are used in general hardware where high strength is not required where as some are used in automotive industry that required higher strength. We are offering wide range of Nut Caps. The offered cap nuts are manufactured using utmost quality material, under the direction of professionals. Manufactured as per international industrial standards, these are widely acclaimed for their high functional efficiency and rough and tough usage. Known to deliver the most durable of products in within the stipulated time frame, we have been giving out an impeccable and durable range of Large Knurled Nut. 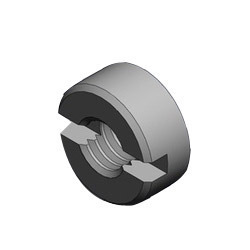 We are highly acknowledged organization engaged in presenting a remarkable range of Cap Nut. Owing to the wide experience in this domain, we are instrumental in offering Plastic Cap Nut to our clients. We are instrumental in bringing forth a extensive gamut of Ring Nuts. 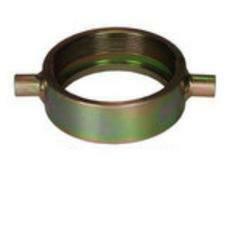 Our Ring Nuts have eye or ring on one end and threaded portion on other. Known for their high tensile strength , these are used for hooking or material handling heavy machines or products in various industries. We are amongst the most reputed names in the industry, offering Brass Ring Nut.